How to turn your big idea into a minimum viable product.. 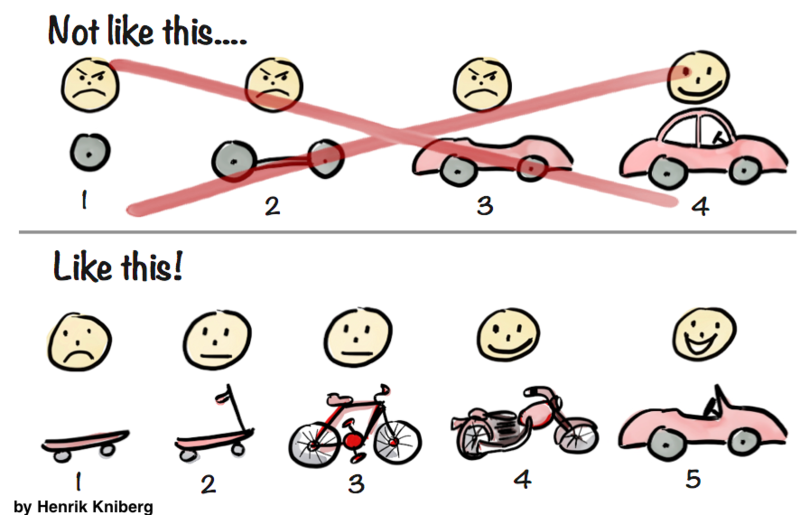 In startup circles, people love to talk about the “MVP,” or minimum viable product. You get a product to market faster. It lets you take an iterative approach to development, testing your product with real users every step of the way. The MVP is a good thing, and as an agency, we spend a lot of time helping new clients fine-tune their “big idea” into an MVP to start with. But there’s a dangerous misconception about the MVP. An MVP is NOT a “Smaller Version” of Your Product. Many people assume that an MVP is simply a pared-down version of the product you want to build. And so to come up with an MVP, they’ll start with a “wish list” of features, and try to decide which features to cut in order to build an MVP. This approach, however, misses the point of an MVP, which is to validate that your market has a problem that they want to have fixed for them, not to validate a feature set. ## A good MVP focuses on the problem and the solution, not on features. Build a mobile app with limited features (even though the bulk of of the cost of the app will likely be building its core, not the extra features). Set up a simple SMS relay to let people text their pickup location to you, and iterate from there. Which approach do you think would be a more cost-effective way to validate whether or not people will use a product to solve this problem? The most useful thing you can do when thinking about the first couple iterations of your product is get into a true MVP mindset. Your MVP, as in the example above, might look very different from your grand product idea, and that’s okay, because the feedback and insights that your MVP provide you will save you tens of thousands of dollars, if not more, over the course of the development process. To start this process, I like to put any feature wish lists aside and ask a simple question: what’s the goal of this product? That can change your MVP in a profound way. Twitter then looked nothing like Twitter now, or even Twitter a year after that launch. But it was a crude way to test their “big idea” of short-form social networking. The learning that came from that MVP led to the iterative development of the product that nearly 300 million people use today. Understanding (and communicating) your ultimate goal for the solution you dream of building. Thinking about the most basic way to solve that problem for your target audience. It doesn’t have to be a complete or elegant solution, but it does have to be just valuable enough to be viable (hence the term). Build that MVP, market it just as you would a fully-built product, and collect as much feedback as you possibly can. Use that feedback to inform your next iteration. Repeat. You may not even need an agency or development team to build your first MVP. It’s not the approach that will get your dream product built tomorrow. But it’s the best way to build the best possible product, and turn that product into a successful business.